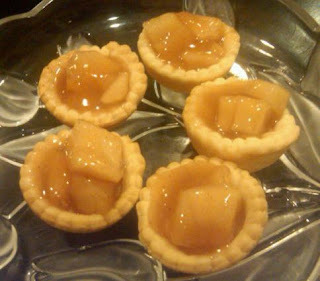 Apple Pie Tartlets and Homemade Fig Newtons - Canning Homemade! Tonight I spent most of the evening creating some amazing desserts that used the jars that I had already made on my shelves. I have my canning demonstration tomorrow at the Vieja Valley Garden Exchange and I really want the people to come to enjoy not only the presentation but get excited about canning and seeing what you can create. 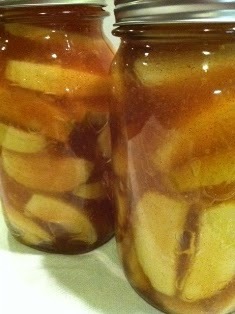 The two recipes that I did I used my Apple Pie Filling and also my Fig Jam. 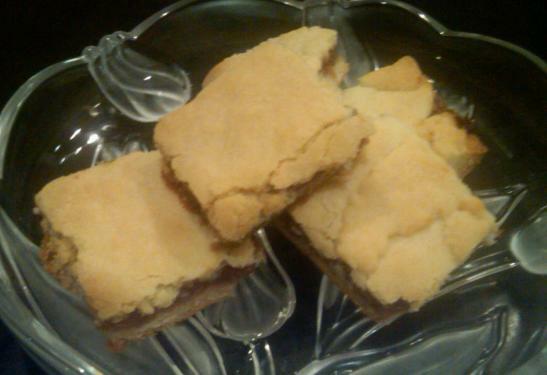 I have wanted to make homemade fig newtons since the day after I finished canning the figs. I hadn't found the perfect recipe but tonight I think that I nailed it. I found one that I adjusted a bit since most of the recipes call for you to make the filling, which i had already completed and they came out really great. My husband is my taste tester and he gave them a thumbs up. Tomorrow though I will see how all the people at the exchange feel and let you know. The second recipe was on a whim today. I wanted to make an entire apple pie to bring to the demo but then I thought that would be a lot of work cutting it and trying to make sure everyone got at least a bite. So I did a bit of digging and found a super easy recipe that turned out better than expected. It is a tartlett recipe and with a few adjustments since I already had the filling prepared it was fast and a good way to show off the canning produce. Beat sugar, butter, egg, milk & vanilla until well blended. Add dry ingredients (salt,baking powder, flour). Mix well and refrigerate for 1 hour. Place 1/2 on well floured board knead about 6 times. Roll out to 1/4" thick. Line 13 x 9" glass dish; spread with fig jam. Roll remaining dough, cover figs and cut off any excess dough. Cook at 350' 30 minutes. Roll out pastry on a lightly floured surface; cut into twenty 2-1/2-in. circles. Use a biscuit cutter if you have one. 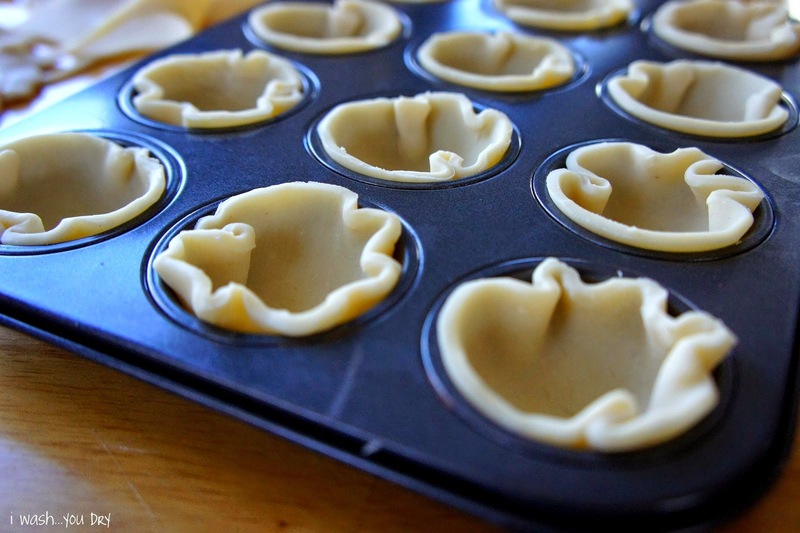 Press onto the bottom and up the sides of miniature muffin cups coated with cooking spray. Prick pastry on the bottom with a fork. Bake at 350° for 10 minutes or until golden brown. Cool for 5 minutes before removing from pans to wire racks. In a saucepan pour in your apple pie filling and using a knife cut up the large pieces of apple into smaller pieces. Cook the mixture till bubbling. 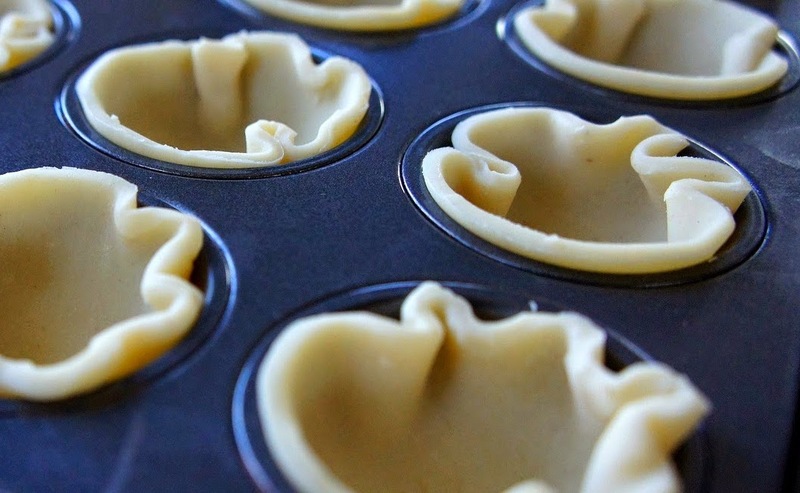 Fill the cooked pastry shells with a teaspoon of the apple filling. Refrigerate.